Luce Bay is peaceful and adjacent to the beach below sinniness point. You can spend many happy hours in Luce Bay, the waters of which are warmed by the North Atlantic drift. 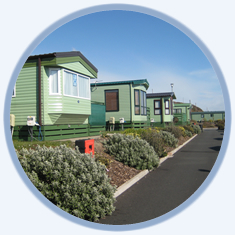 On returning to your holiday home you will enjoy an immense selection of panoramic views of the Rhins of Galloway and the Isle of Man on the South Eastern horizon, making the park a unique and tranquil setting. For the more adventurous, why not talk advantage of our ferry port of Stranraer; just 17 miles away and take a day trip to Ireland where there are excellent tours visiting Old Bushmills Distillery, Giants Causeway and also Belfast zoo.